Hello, this is my first post here as I encountered a problem when trying to slice a 3d model. I am creating the shape on Rhino and exporting it both as .obj and as .stl to Cura. The object loads well however when I try to slice it I lose all the information inside the outer box (as you can see in the images). 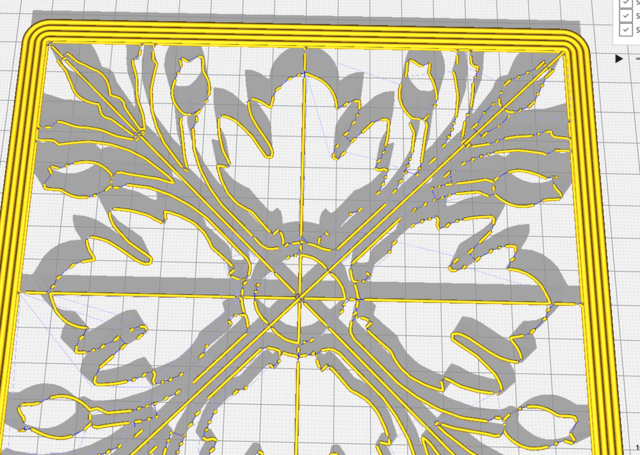 Is there a way that I can print this design without losing any detail and ideally print in one continuous line? Thanks. Could it be that in the export you may have missed a setting? Maybe it is not a solid? Are the walls too thin? 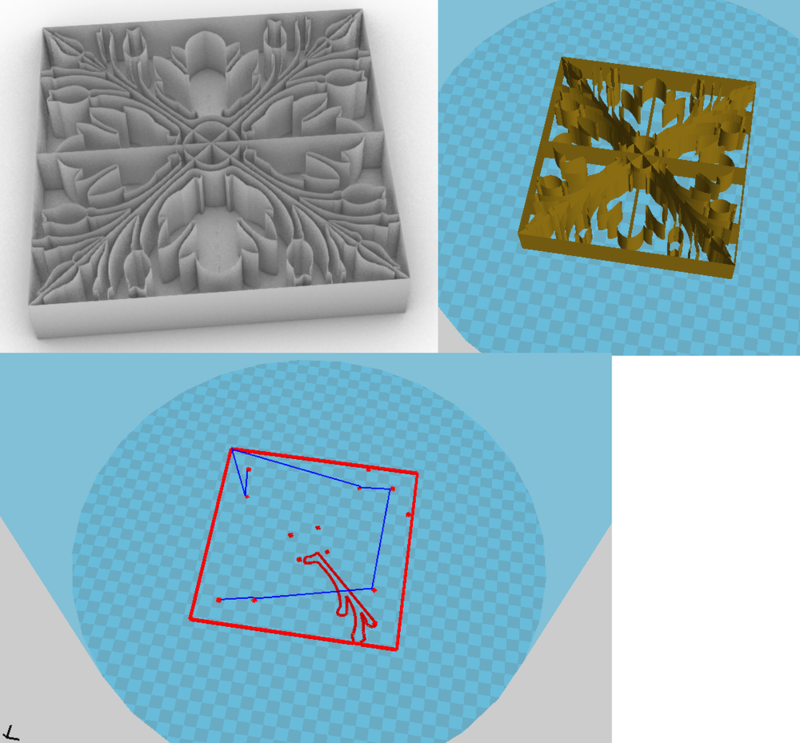 If you are using Cura 3.2 (latest stable), there is a plugin available called MakePrintable. It provides fixing functionality, which may help you. Not every output from a CAD tool is automatically fit for 3D printing from the start. In Cura I think you would want to set wall thickness to 0.4 (or whatever nozzle size you use) for a single walled object. Why exactly would you want to print it in 1 line? Hello, yes I added a wall however it is printing the wall twice now. I'm pretty sure the walls are too think. Try setting the line width to 0.1mm just as a test. The walls should show up. You might want to try the "print thin walls" option which will allow you to print down to about .4mm walls with a .4mm line width. A .4mm nozzle can go safely down to line widths of 0.35 and even .3mm without too much deterioration in quality. You might need a 0.25mm nozzle though or a .15mm nozzle or a .1mm nozzle (from 3dsolex - I sell this in USA in my store at thegr5store.com). Or you might just want to make the walls in this design thicker. how thick? Try setting the line width to half the wall thickness. What happens? Did you try the "print thin walls" option? What happens? The wall thickness is 2mm. I managed to fi some things however I have another problem. Even though I am importing a solid-walled file, I am not getting a continuous line from the extruder.